Tomahawk American Eagle Folding Knife | BUDK.com - Knives & Swords At The Lowest Prices! 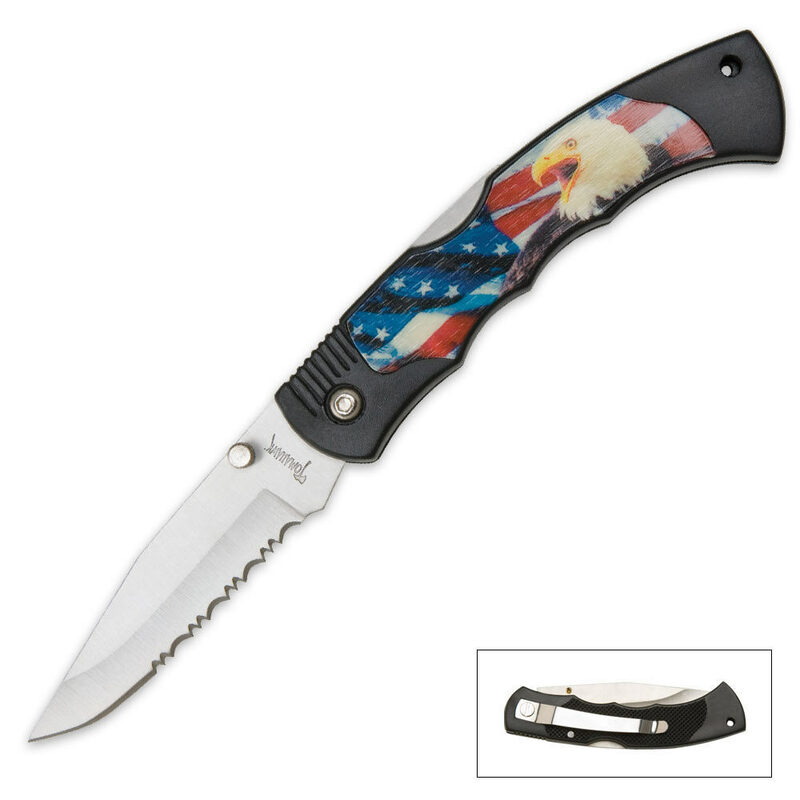 This folding knife is sure to show your American pride! This folder features a 3" stainless steel, part-serrated blade in a textured black ABS handle, accented with an American flag and Eagle design. This unique folder measures 7 5/8" overall when open and 4 1/2" closed.